My rating: 8.5/10. Excellent watch. Affordable watch with Eco-Drive tech. Hello, today I’m doing a Citizen BM8240-11A review. 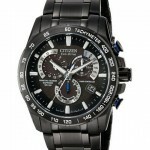 This is a very popular timepiece from Citizen that uses their well known Eco-Drive technology. It’s a fairly affordable watch that offers good value for money, in my opinion, so should be interesting to have a closer look at. I hope you enjoy this Citizen BM8240-11A review below. 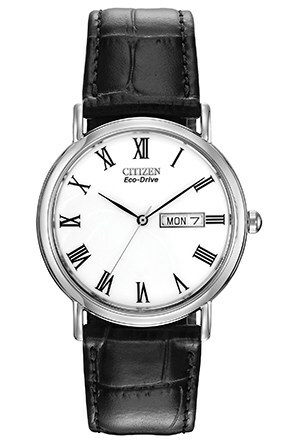 This timepiece from Citizen has a really simple yet elegant design to it. The dial is kept quite clean with these slim line hands keeping everything to a minimum. The Roman numerals was quite a good choice, in my opinion, it gives the watch that dated feel. Other than that the only other extra function on the dial is the day and date display at the 3 o’clock position. There’s a lack of any lume which may make the watch a little harder to use at night, but the black hands on a white dial should minimize this. Being an Eco-Drive watch it’s functional and highly efficient. Eco-Drive watches are powered by light, be it natural or artificial and never require a battery. This has been an extremely popular feature for Citizen and is now used in the large majority of their watches. When it comes to sizing this watch is a little smaller than many others you see around at the moment. The casing diameter is 36mm whilst the thickness is just 9mm. This is something to keep in mind really, if you prefer larger watches than this might not be suitable for you. 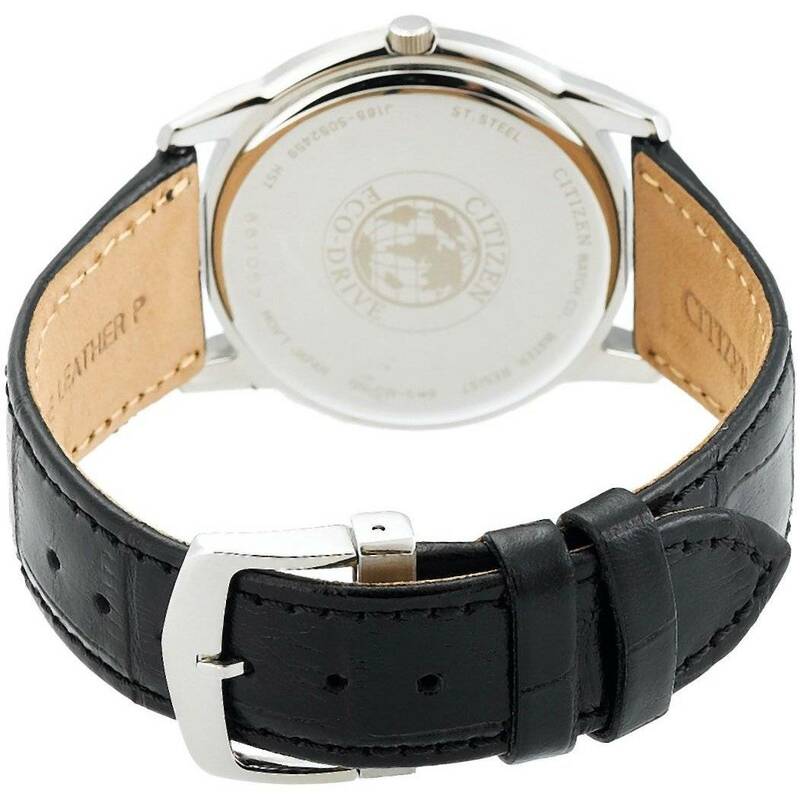 Band Comfortable genuine leather strap, standard length, 19mm width, standard buckle style clasp. Case Stainless steel casing, sizing diameter: 36mm and thickness: 9mm. Dial Analogue display. The window lens is made of a mineral glass, this is specially hardened to resist scratches. Water Resistant A water resistance of up to 30m / 3 bar. Citizen are one of the largest watch brands in the world and are known for their quality timepieces. Japanese Quartz movements are known to be accurate and reliable. Features Eco-Drive technology, charges using light and never requires a battery. 30m water resistance, suitable for everyday use. Splash/rain resistant. Not suitable for showering, bathing, swimming, snorkelling, water related work and fishing. It’s available in an affordable price range. Useful day and date display. The lack of lume may understandably be an issue for some people. Smaller than many modern watches, keep this in mind. The Citizen BM8240-11A brings you the beauty of the Eco-Drive technology to an affordable price point. I quite like the clean design of the watch, but for me personally it’s a little smaller than I’d normally go for. The main negative is the lack of lume, but I know that’s not the be all and end all for most people. I like to stick to listing retailers that I’ve actually had experience buying from in the past. 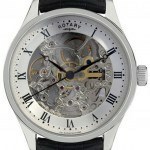 Below I’ve listed some of the top places to buy this watch from, check all 3 for the best price. Hope you enjoyed this Citizen BM8240-11A review. Find more watch reviews below. 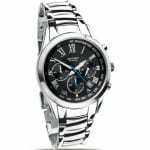 Sekonda 3888 Watch Review – Is It Any good?